A Sproch is a komplexes System zua Kommunikation. Es is a System vo Elementn und Regln, de wo dena Midgliedan vo ana Sprochgmoa ois Vastendigung deana. Es gibt eppa 5.000 - 7.000 Oanzlsprochn (ois Lautsprochn). Des ko aloan deswegn scho ned exakt quantifiziad wean, wei de Untascheidung zwischen Dochsproch und Dialekt oft a Definitionsfrog is und vo bolidischn und andan Umstend obhengt. Ba de Oanzlsprochn untascheidd ma zwischn natialichn und konstruiadn Sprochn. Natialiche Sproch san im Laf vo da Zeid vo aloan entstandn, wia zan Beispui Boarisch oda Englisch. Konstruiade Sprochn san vo Menschn plant worn, wia beispuisweis Esperanto oda Klingonisch. Plansprochn nennt ma konstruiade Sprochn, de wo da zwischnmenschlichn Kommunikation deana. Za de konstruiadn Sprochn ghean aa de formain Sprochn, wia zan Beispui de Programmiasprochn. Weidas ko ma zwischn Lautsprochn und Gebeadnsprochn (Keapasproch) untascheidn. Wann ma Sproch ois symbolische Vastendigung (Kommunikation) affosst, nacha brauchts drei Sochan: Zoachn, Bedeitunga und an Schlissl (Kod, Code), dea wo de Zoachn mid de Bedeitunga vabindt. Sproch vabindt Zoachn mid ana Bedeitung. Des gschiacht afgrund vo ana soziain Konvention und ned afgrund vo ana niatiali gebanan Bedeitung. Sejchane Zoachn kina Laudt, Grafikn (Buachstobn), Buidl oda Gestn sei. Sproch ko af a System vo Lautn (Red), Gestn (Gebeadnsproch) oda Grafikn (Schrift) afbaun. Grammatik zoagt wia Morpheme, de kloanstn Bedeitungsbaustoana, in ana Sproch za Aussogn kombiniad wean kina. Morpheme kina entweda frei sei, nacha sans ganze Weata, oda bundn, nacha sands Woattei (Affix: Prefix oda Suffix). As boarische Woat Sprochwissnschoft bsteht beispuisweis aus drei Morphema: sproch, wissen und -schoft. As Reglweak, wo festlegt, wia Sprochbaustoana kombiniad wean kina, nennt ma Morphologie. De Regln fia de innare Struktua vo Phrasn und Satzln buidn de Syntax. A Sotz ko af Funktiona analysiad wean. Im Sotz "De Kindln spuin im Hof" buidn "De Kindln" as Subjekt (Sotzgegnstand), "im Hof" is as Adverbial (Umstandsbstimmung) und "spuin" is as Predikat (Sotzaussog). Sprochn kina afgrund eanara Grammatik typisiad wean. Beispuisweis noch da Reihnfoige vo Subjekt, Prädikat und Objekt in an noamain indikativn Sotz. Vo Viachasproch redd ma, wann de Vastendigung zwischn Viachan Ehnlichkeitn mid da menschlichn Sproch afweist. Es gibt oba koa Viachasproch, de wo eppa so komplex is ois wia de Menschnsprochn. Wann de Vastendigung vo de Viacha iba ogeborans Vahoidn (Instinkt) oblafft, redd ma in da Regl ned vo ana Sproch. Ob ma ba Viachan ibahapts vo ana Sproch redn ko, is umstriddn. Foascha wia da Linguist Charles Hockett moana, dass ma den Menschnsprochn ned mid da Vastendigung unta de Viacha vagleicha kunnt, wei de Komplexitet und Grundprinzipien ned vagleichbor waradn. Da Linguist Thomas A. Sebeok hod deswegn fiagschlogn, dass ma ba da Vastendigung zwischn de Viacha ned vo ana Sproch redn soit. Andane Foascha wia da Marc Hauser, da Noam Chomsky und da W. Tecumseh Fitch segn a evolutioneare Kontinuitet zwischn da Viachasproch und da Menschnsproch. David Crystal: Die Cambridge Enzyklopädie der Sprache. Campus, Frankfurt 1995, ISBN 3-88059-954-8. Rolf Elberfeld: Sprache und Sprachen. Eine philosophische Grundorientierung. Karl Alber, Freiburg i. Br./ München 2012, ISBN 978-3-495-48476-0. Steven Roger Fischer: Eine kleine Geschichte der Sprache. 2., ungekürzte Ausgabe. DTV, München 2004, ISBN 3423340304. Harald Haarmann: Kleines Lexikon der Sprachen. Von Albanisch bis Zulu. Beck, München, ISBN 3-406-47558-2. John Lyons: Die Sprache. 4. Auflage. Beck, Minga 1992, ISBN 3-406-09400-7. Johannes Heinrichs: Sprache in 5 Bänden: 1.Die Zeichendimension, 2. Die Bedeutungsdimension, 3. Die Handlungsdimension, 4. Die Satzbauformel, 5. Stilistik, Steno, München 2008/9, ISBN 978-954-449-448-3. Duranti, Alessandro (2003). "Language as Culture in U.S. Anthropology: Three Paradigms". Current Anthropology 44 (3): 323–348. doi:10.1086/368118. Evans, Nicholas (2009). . 32. Behavioral and Brain Sciences. pp. 429–492. Fisher, Simon E.; Lai, Cecilia S.L. ; Monaco, Anthony P. (2003). 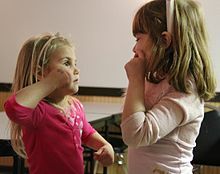 "Deciphering the Genetic Basis of Speech and Language Disorders". Annual Review of Neuroscience 26: 57–80. doi:10.1146/annurev.neuro.26.041002.131144. PMID 12524432. Haugen, Einar (1973). "The Curse of Babel". 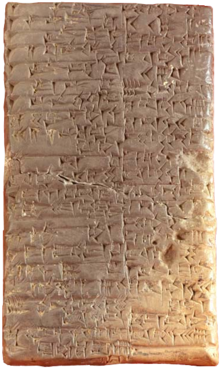 Daedalus 102 (3, Language as a Human Problem): 47–57. Hauser, Marc D.; Chomsky, Noam; Fitch, W. Tecumseh (2002). "The Faculty of Language: What Is It, Who Has It, and How Did It Evolve?". Science 22 298 (5598): 1569–1579. doi:10.1126/science.298.5598.1569. PMID 12446899. Ladefoged, Peter (1992). "Another view of endangered languages". Language 68 (4): 809–811. doi:10.1353/lan.1992.0013. Lewis, M. Paul (ed.) (2009). "Ethnologue: Languages of the World, Sixteenth edition". Dallas, Tex. : SIL International. http://www.ethnologue.com/ethno_docs/distribution.asp?by=size. Nichols, Johanna (1984). "Functional Theories of Grammar". Annual Review of Anthropology 13: 97–117. doi:10.1146/annurev.an.13.100184.000525. Olson, David R. (1996). "Language and Literacy: what writing does to Language and Mind". Annual Review of Applied Linguistics 16: 3–13. doi:10.1017/S0267190500001392. Swadesh, Morris (1934). "The phonemic principle". Language 10 (2): 117–129. doi:10.2307/409603. ↑ Martinelli, Dario (2010). "Introduction to Zoosemiotics". Biosemiotics 5: 1–64. doi:10.1007/978-90-481-9249-6_1. ↑ Hauser, Marc D. (22 November 2002). "The Faculty of Language: What Is It, Who Has It, and How Did It Evolve?". . American Association for the Advancement of Science. 1569–1579. Archived from the original on 28 Dezember 2013. https://web.archive.org/web/20131228122250/http://www.chomsky.info/articles/20021122.pdf. Retrieved on 28 March 2014. "We argue that an understanding of the faculty of language requires substantial interdisciplinary cooperation. We suggest how current developments in linguistics can be proﬁtably wedded to work in evolutionary biology, anthropology, psychology, and neuroscience. We submit that a distinction should be made between the faculty of language in the broad sense (FLB)and in the narrow sense (FLN). FLB includes a sensory-motor system, a conceptual-intentional system, and the computational mechanisms for recursion, providing the capacity to generate an inﬁnite range of expressions from a ﬁnite set of elements. We hypothesize that FLN only includes recursion and is the only uniquely human component of the faculty of language. We further argue that FLN may have evolved for reasons other than language, hence comparative studies might look for evidence of such computations outside of the domain of communication (for example, number, navigation, and social relations)." De Seitn is zletzt am 20. Oktoba 2017 um 15:45 gändert worn.